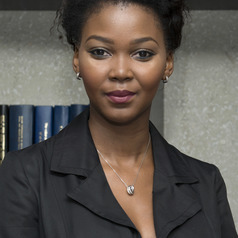 Dr Bomikazi Zeka is an Assistant Professor in Finance and Financial Planning at the University of Canberra. She completed her doctoral degree in 2017 from the Nelson Mandela University in South Africa. Bomikazi was also a lecturer at the Nelson Mandela University from 2011 to 2018, where she taught at both undergraduate and postgraduate level. During her time at the Nelson Mandela University, she contributed to the development of the financial planning programme and supervised several research projects. Her research interests are primarily in the field of socio-economic gerontology. Bomikazi has disseminated the results of her research in both journals and international conferences. Due to her research interest in the aging population and their retirement planning initiatives, Bomikazi has been invited to act as a reviewer for several international conferences. Most of her studies investigate the retirement savings strategies and challenges the aging populating encounter in planning for retirement.